Performance and seering. 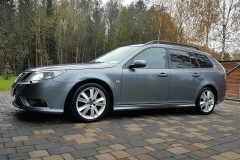 2.0 Aero with Hirsch package and 250 hp. literally low flying. Fantastic quiet, comfortable, although bends perfectly balanced suspension with rear wheel steering our roads is a little bit too hard (a good investment - and with brilliant FSD shock absorbers - it puts everything in perspective). A wide range of equipment - leather interior, navigation, 6 CD changer, automatic gearbox, Bi-xenon headlamps, etc. Also, as bearable SAAB trivia Night Panel, keys in middle of place won't disappear. I own tis car for a year and only in rear brake blocks was changed. Compact, but also quite a spacious car, compared with Audi A4. Space for two child seats + one adult in back. Very quietly working petrol engine, I'm surprised for turbo engine relatively small fuel consumption. On average, its 5.9 -7.4 l / 100 km. Very good high beam lights. When I'll buy another car, this one will leave as spare family car, because it is too good to sell at a low price. Suspension could be stronger. The original car audio system is quite average. Weak low beam lights. Consumption is very large. The highway at 90 cruising 8 litres are hard to get, through city very calmly drove well, if 15 is - its great. Large tax, expensive details, expensive repairs for so old, but at same time, quite a rudimentary car. Or buy again? 100% no, mostly due to fuel consumption. Economic - ar warm time when no junk added to fuel, consumption is 4.2 / 100km. Very high quality to Original acoustic system. Low, front wheel arch plastic ends under under a car, so over shops as well as first snow these plastics wraps. Very comprehensive compromise between comfort, design, acoustics, jovial, style, dynamics, economy and price. It's a small thing, but this is first car, which have not changed even one light bulb. 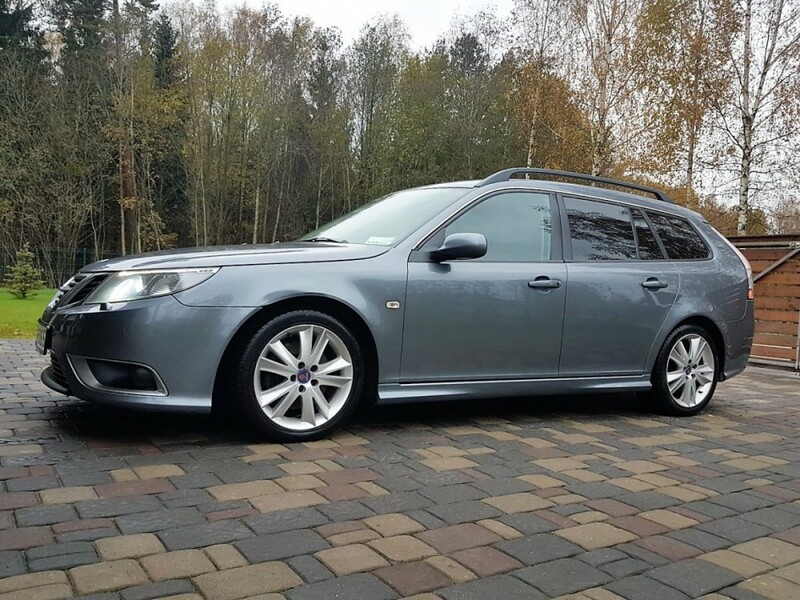 To read more reviews about SAAB 9-3, please select SAAB 9-3 generation on top of page.